A Cityscape viewed from above. The celebration of urban living with a dancing couple on top of it all. Inspired by the life we live in the city- above it all and watching our world beneath us. 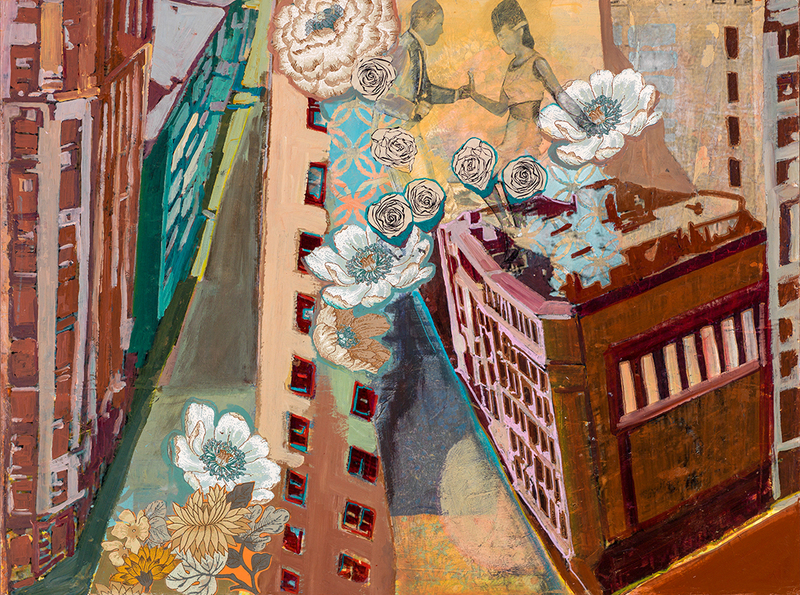 This piece collages the vintage wallpaper flowers and paint and gives an animated fun vision.